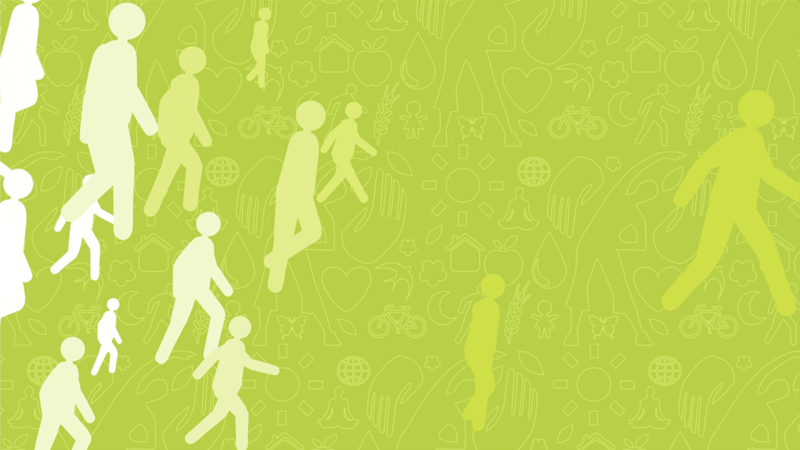 The Healthiest State Initiative is a nonprofit organization with a mission to make Iowa the healthiest state in the nation. 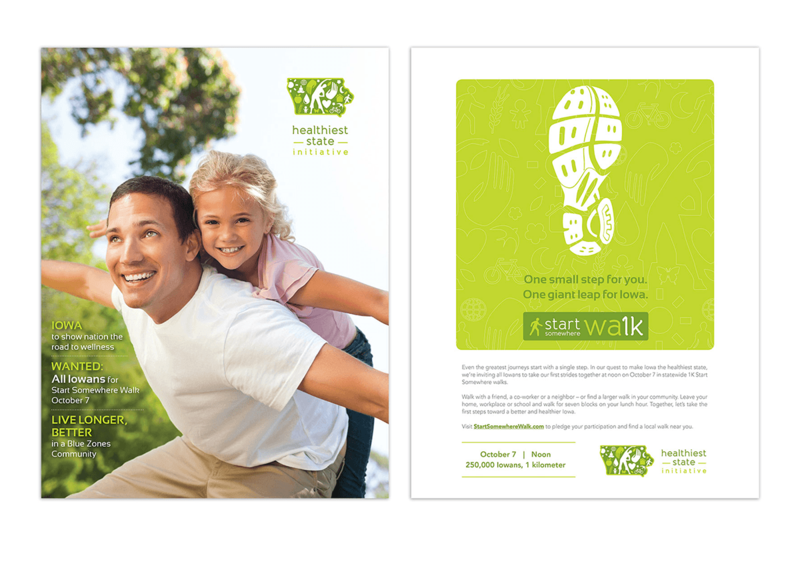 As the Healthiest State Initiative was being formed, the organization was looking for ideas to introduce the program. Meyocks proposed the idea of a statewide walk event — and promoted the efforts, resulting in nearly one in 10 Iowans voting with their feet in favor of the effort. In August 2012, Iowa Governor Terry Branstad announced the Healthiest State Initiative, a publicly endorsed private effort to make Iowa the healthiest state in the nation. At the time of the announcement, Iowa ranked 19th in overall well-being. 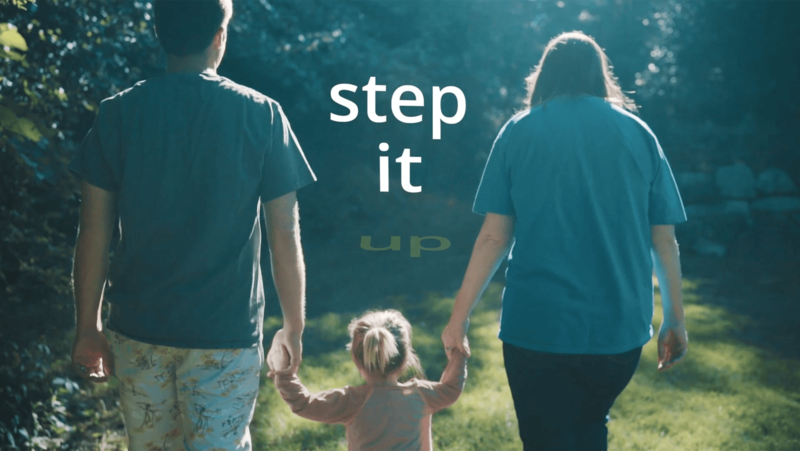 To bring Iowans together behind the initiative, Meyocks recommended that "Start Somewhere Walks" be held simultaneously throughout the state at noon on October 7. The walks were promoted via television advertising featuring Iowa celebrities such as Olympian Shawn Johnson and Masters champion Zach Johnson. 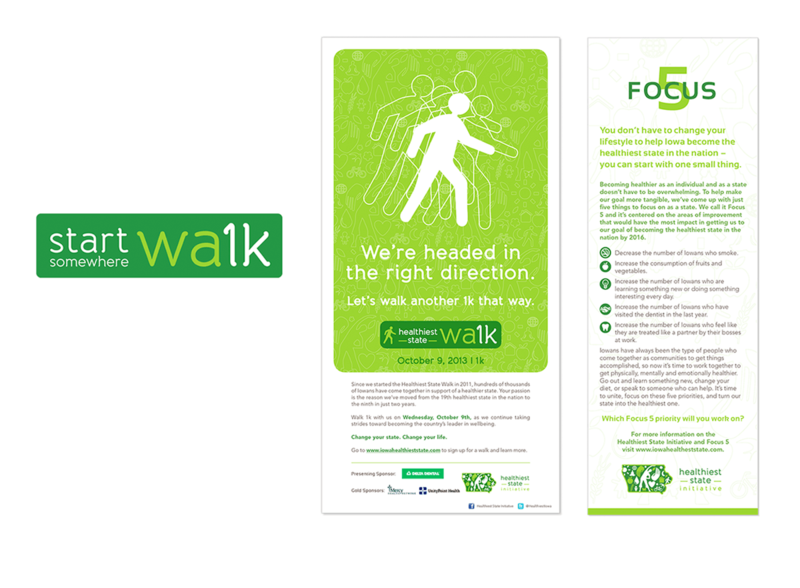 Earned and social media, presentations, website promotion, events and collateral material complemented the walk promotion efforts. Nearly 300,000 Iowans — about 10 percent of the state — participated in more than 2,300 group walks and thousands of individual walks in each of Iowa's 99 counties. The Start Somewhere Walk was so successful that it has continued since under the "Healthiest State Walk" banner to help maintain support of the overall initiative. As the format of the walk has evolved over the years, the creative has adapted to promote the event in new and attention-getting ways.